Details below or contact us for more information. Note: All of our tours can be customized to fit your group size, time frame and interests. Upon arrival at Marrakech Menara Airport, you will be welcomed and taken to your hotel where you will be given time to settle in and freshen up. 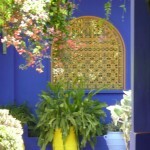 After breakfast, you will have a guided tour of Marrakech, the southern pearl of Morrocco. 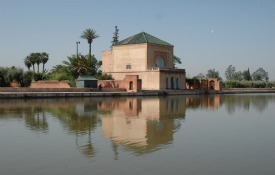 You will discover the Palace of the Bahia, the Saadian Tombs, the Menara Basin and many other hidden treasures. After lunch, you will continue with the tour on to the magnificent Koutoubia Mosque and the famous Djemaa el-Fna, one of the center attractions of Marrakech. Coming alive at night with the local storytellers, entertainers, and mouth-watering barbeque pits, the square is well worth a visit. The tour will conclude with an exploration of the souk (market) lined with fresh fruit, mounds of spices, intricately woven Berber carpets and many other art objects of Morocco. After breakfast you depart for Ouarzazate over the High Atlas Mountains through the Tichka Pass. 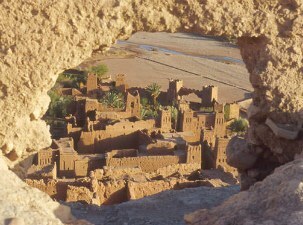 Keep your eyes open for the Berber villages tucked away in the mountain side. Upon arrival in Ouarzazate, lunch will be served. In the afternoon, you will tour Aït Benhaddou, one of the world”s most magnificent Kasbahs, this setting has been used for more films than any other location in Morocco; films including, Lawrence of Arabia, Jesus of Nazareth, and The Gladiator. 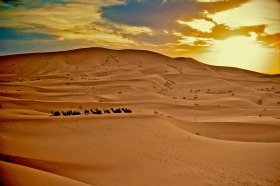 After an early breakfast, you will set out along the plain between the pictureque slopes of the high-Atlas and the vast Sahara Desert. Lunch can be taken en route. 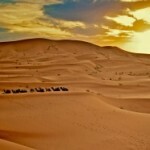 Upon arrival in Merzouga, take some time to relax and freshen up. After an early breakfast, you will depart for Goulmima (depending on the road), for an exploration of this Berber village. The trip through the beautiful Amellago Valley will consist of some normal roads and some dirt tracks. You will continue through the picturesque Todra River Valley which makes for a beautiful journey towards the final destination for today, the magnificent, colossal Todra Gorges (600 feet). 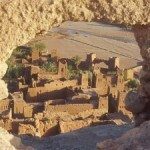 After breakfast, the group will depart for Ouarzazate along the road of 1000 kasbahs. On route, you will visit the beautiful Dades Valley and stop for lunch at Elkalaa of M’Gouna, the city of roses. 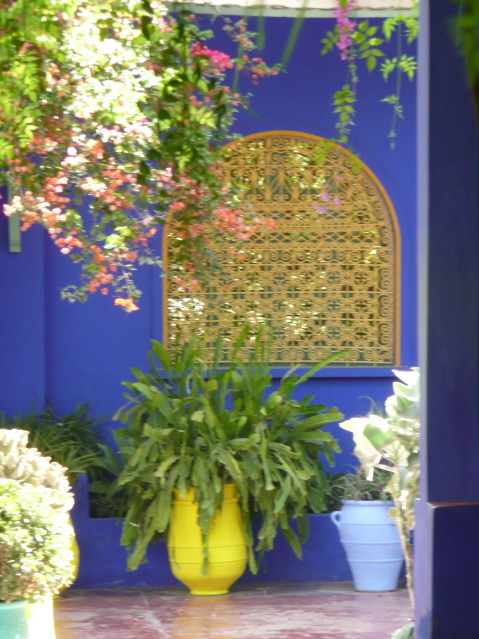 After lunch you will visit the Kasbahs of Taourirt and Tifoulout, and then on to Marrakech.